Part 1. Some background to my research on filters. Part 2. A description of the various types of filters available and their pros and cons. To be written! Potable Water Everywhere. Not Just a Dream. Living in a country like Ecuador, where the quality of the tap water is far from assured, leads one to consider alternative options for obtaining healthy drinking water. In Ecuador, one can generally trust that bottled water is of good quality – while in other countries, one must be more cautious, as bottles may just be filled with tap water. Regardless, drinking bottled water has unnecessary costs, both financial and ecological. Ecologically, transporting non-reusable plastic bottles of water is unjustifiable in the majority of situations. Financially, buying bottled water all the time can be… well just silly. While I have long used water filters on my travels, two things focussed my mind on water treatment in 2016. The first was that I was lucky enough to have the opportunity to help build an ‘Earthship’ school in Uruguay in February. The second was the devastating earthquake that hit the coast of Ecuador on the 16th April. Both made me think very seriously about one concept in particular: autonomy. What has become very clear to me over the last year, is that with a combination of fairly basic technology and education, access to cheap clean water for everyone can be more than an aspiration, it can be a reality. Earthship in El Bolson, Argentina. The ‘Earthship‘ was dreamed up by the North American architect, Michael Reynolds. To cut a fascinating story short (sorry)*, Mike was fed up with the wasteful way in which buildings are constructed and run, and thus decided to make something better; this journey eventually led to the Earthship. Key to the Earthship design are two concepts: 1. Using other peoples’ junk, and 2. Finding a way to live autonomously and ‘sustainably’. 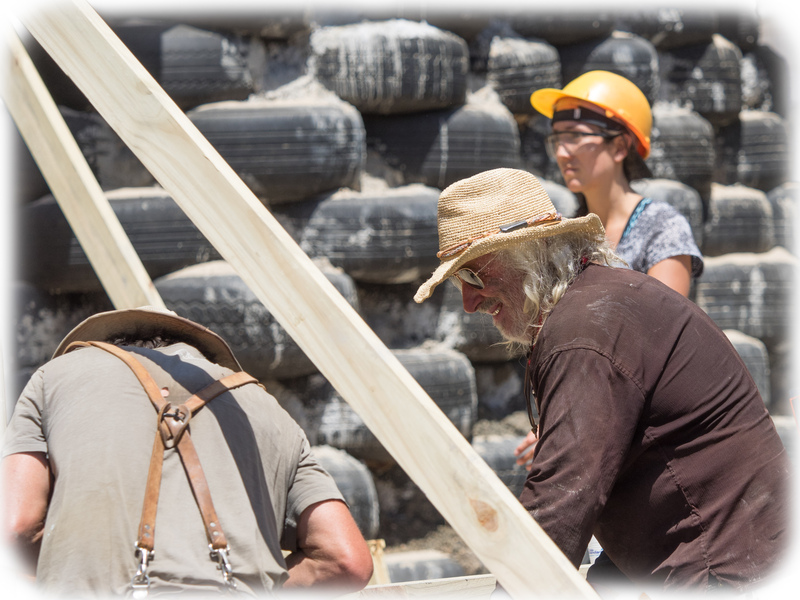 Mike believes that an Earthship should ‘encounter’ the world, not use it up, nor contaminate it. Put briefly, an Earthship is a house that collects its own energy and water, that uses its water intelligently and efficiently and which treats its grey and black-water waste as a resource to enrich it’s environment. Perhaps most importantly for areas with large temperature ranges, it uses passive solar gain and thermal mass to do all its heating and cooling. Often people who live in Earthships also grow a fair amount of their own food. Importantly, the house does not need to be connected to electricity, gas or water networks. This has huge advantages for both the environment and for those who live in the house. In particular once you have built an Earthship (or similar design), you are free from having to pay for electricity, heating, cooling water and sewage treatment. You now ‘just’ have to think about how to pay for healthcare, education, food and perhaps some fuel for cooking. Most relevant to us right now however, is how an earthship deals with water, of which more later. Potable water on the coast of Ecuador. Before the April 16th Earthquake, people on the coast of Ecuador either relied on rudimentary water collection (pretty rare in Ecuador), rivers, municipal water supplies or bottled water/coke**. Following the earthquake, those people who were reliant on municipal supplies of piped water found themselves with nothing other than sea water and dirty, untreated river water. They most certainly did not have control over their own water supply. Fortunately a rapid reaction by the people of Ecuador meant that supplies of food and water were immediately on their way to the coast, brought by people in their own pick-up trucks. 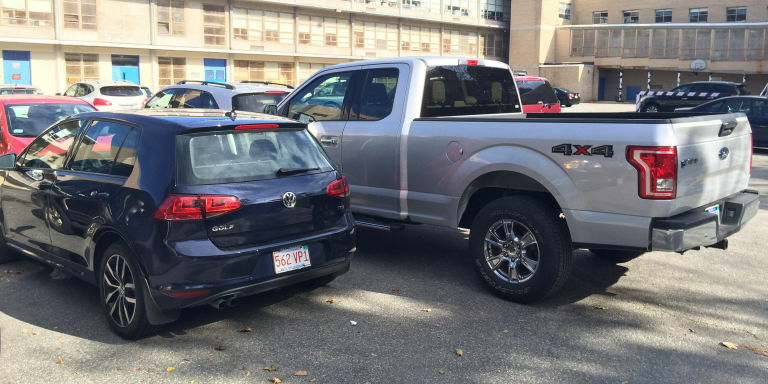 Indeed, many Ford F150 trucks got their first day’s real work – and went off to do something more appropriate than shopping in Supermaxi and driving to the bar. It was a beautiful display of shared humanity, but also somewhat absurd. The shops of Quito were immediately emptied of all their bottled water as millions of bottles, big and small, were shipped to the coast – for weeks and weeks. In the process the supermarkets and water companies received an lovely earthquake bonus. Although the earthquake was devastating and although the death and destruction was magnified by terrible building control, things could have been much worse. If the epicentre of this earthquake had been somewhere else, such Guayaquil or Quito, we would have been looking at a totally different scale of disaster. At the time, Quito’s local volcano, Cotapaxi was also threatening to erupt or unleash deadly lahars.. In a worst case scenario, a combination of eruption and earthquake would certainly have overwhelmed the country’s very limited and unprepared emergency resources – and would have left many many people to survive on their own for much longer. How things can be better with autonomy. An autonomous house does not rely on functioning municipal water systems. Thus it is the perfect ‘ship’ for surviving after an earthquake (assuming the building survives – which is another topic). Ruptured pipes? No problem. Contaminated rivers? No problem. 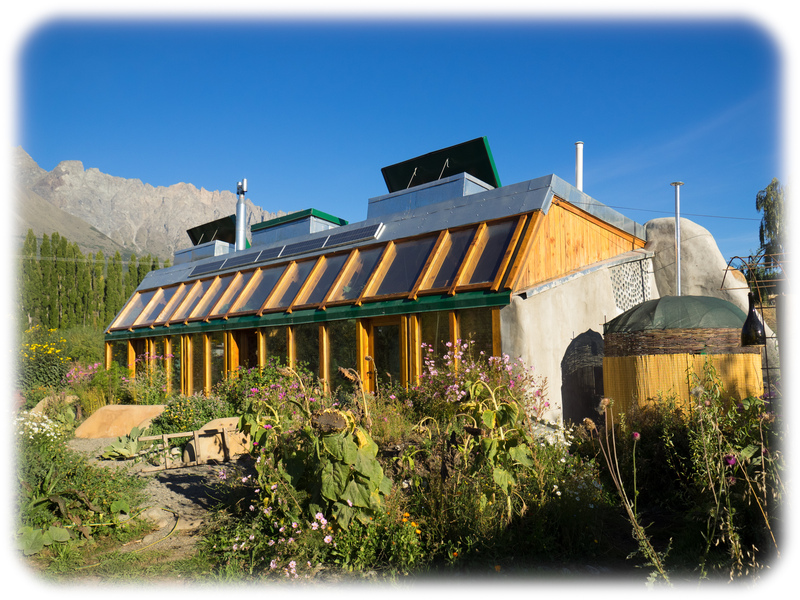 In an Earthship, rainwater is captured from the roof and stored in cisterns, which then feed a Water Organising Module (WOM). The WOM is a series of progressively finer filters, which clean the water for washing and, with the finest filter, for drinking. Such a system has a number of advantages over relying on municipal water. Firstly, water captured from the rain is about as reliably non-contaminated as one can find. 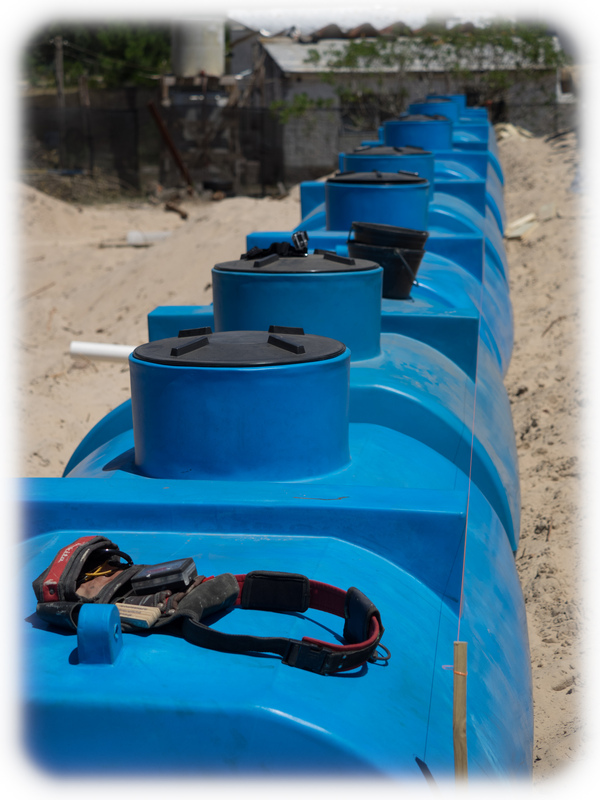 A municipal water supply can be contaminated at many points, from the input, through the processing stage, though to the delivery pipes. This contamination can be accidental or deliberate. When collecting rainwater, the only possible sources of contamination are the atmosphere, the rooftop, the cisterns and the filters. The only one of these over which the owner has no control is the atmosphere. Secondly, short of your cisterns being damaged, you will always have water available. Would an Earthship system be suitable for Ecuador, especially at the coast which is very dry? The Earthship concept was conceived in Taos, New Mexico, a place with just 50cm of rain per year, most of which comes in torrential downpours. This is enough to classify Taos as a high altitude desert, yet an Earthship in Taos can collect and treat enough water from its roof to drink, wash and shower all year round. By way of comparison, Quito gets 100cm and Pedernales, which was close to the epicentre of the earthquake, gets 92cm. This suggests there is not reason we can’t do the same on the coast of Ecuador, at least in the wetter areas. I’d consider the Earthship rooftop collection system as the ideal solution for most places, however the full system has one serious limitation – price. Firstly, one must design a decent rooftop collector with sufficient surface area and which must be made of suitable materials (long lasting, non-contaminating). Secondly, one needs a large storage capacity, normally in the form of a set of cisterns, which can be expensive. Thirdly, one needs a filter and pump system. A second limitation is that all of this needs maintenance – and maintenance requires both understanding and motivation. This is where a lot of well intentioned NGOs fail… they provide expensive systems that end up being abandoned for lack of local buy in. Fortunately, however, there are an almost infinite way of adjusting the systems to local requirements. Two days after the earthquake, I went down to the coast with a group of local Ecuadorians and a fellow immigrant to bring supplies help build shelters on the coast. As well as a bunch of shovels, saws and other tools, I had my trusty Sawyer filter. This meant that instead of using the water that was being taken to give to those affected, I could filter my own water. It also meant that in the worst case scenario of getting stranded and/or injured in an aftershock, I would have access to clean drinking water as long as I had a source of non-saline water. One of the sources of water I used was a swimming pool, which got progressively greener as the weeks went on.. but which made a lovely example for demonstrating the filter to local people. The water goes in green and comes out clear. I’m just sad now I did not take any pictures. Seeing the need for potable water, and seeing the incredible waste involved in bringing millions upon millions of tiny plastic water bottles down to the coast, the first thing I did upon my return to Quito was start researching as to what was available in Ecuador by way of water filters. At the same time, a variety of groups and people started to bring water filters down to the coast (for example Waves for Water). The majority of these small filter systems came from Sawyer or LifeStraw. We also saw donations of larger scale systems from countries around the world. Not that you’d know much about this, as the government seemed keen to take credit for all the work done by other organisations. Here I should note that the apparent lack of emergency planning by the Ecuadorian government was fairly shocking. But that’s another post. It immediately became apparent to me, that all these different smaller organisations were doing pretty much the same thing, but without any coordination. I therefore tried to put people in touch via WhatsApp and eventually via a Facebook group, which remains active. If you are interested in joining us, please have a look here. 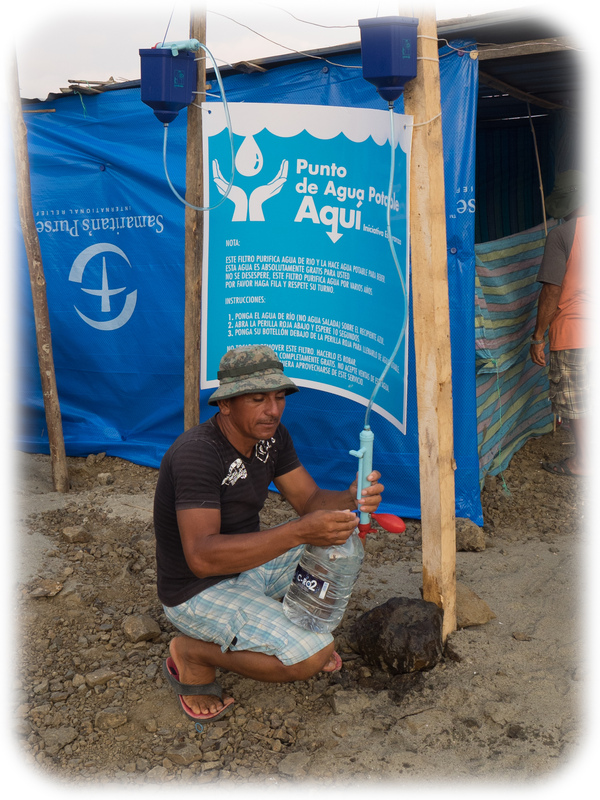 The group is dedicated to joining all people working with potable water and sanitation in Ecuador. Delivering the promise of the filters is not easy. Our group received a small donation of Sawyer filters and an offer of many more. However, having attempted to train local people in the use of the filters, we realised that getting people to use the filters and use them well was not going to be easy. Not all of the filters we handed out were actually used, and it was not clear that they were going to be used correctly. Part of the problem was that in the town of El Matal, in which we were building shelters, people had been given free bottled water, and later, free tanks of potable water. This, although very welcome, reduced the incentive to use the filters. We thus decided to hold off until things had settled down before trying again. We did anticipate these problems, as they are to be expected when such things are delivered rapidly AFTER a natural disaster. Post-disaster is exactly the wrong time to be delivering new technologies. The recipients are very unlikely to be in the right frame of mind to want even more change in their lives. More than anything, they want things to go back to normal. Thus the best time to deliver these initiatives is likely when people are more settled. This is not to say that some of the water filters provides were used extremely effectively. Some of ours were, and various filters provided by other organisations were clearly well set up and well used. The LifeStraw filter pictured above, was one example of a well organised filter point. A specific person had been given responsibility, there were clear instructions (in the right language) and a banner clearly advertising where people could get clean water. All of which brings us to today, 8 months after the earthquake. Having returned to my native Britain for several months, I’m somewhat out of date on how the filter systems that have been provided by the various groups are being used today. I have my doubts that many of them will be in daily use, but we will need to do more research to find out. Which means the real work starts now. Hundreds, if not thousands of water filters have been delivered to the coast, all of which are suitable to provide a family with clean drinking water for years. The challenge (IMHO!) is to provide workable, cheap systems for collecting and filtering the water. But perhaps more important is the formidable process of providing proper education about sanitation and correct use of the filters we have provided. Part two will actually be the more useful bit for most people. It’s here. *It’s definitely worth learning more about Earthships. An easy way to do this is to watch the film Garbage Warrior. **Believe it or not, I’ve met people on the coast who don’t drink water, but just drink soft drinks. Often coke is cheaper than bottled water. Previous Previous post: How Universities Work: Deciding Executive Pay. Next Next post: Lithium and A Manic Episode on the Radio.